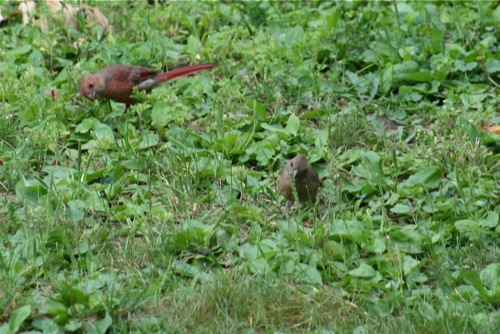 People seemed interested in the difference between adult and young cardinals, so I have a few more photos. 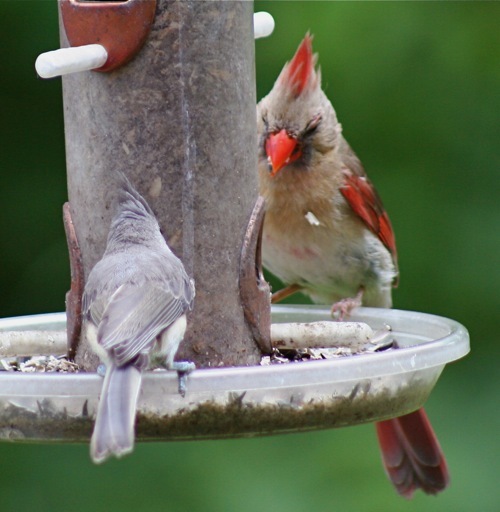 Above is an adult female cardinal perched on a feeder with a tufted titmouse. You can tell from this photo that she is female because she has brown on her body as well as some red. But note the orange bill--that's how you can tell she is an adult. 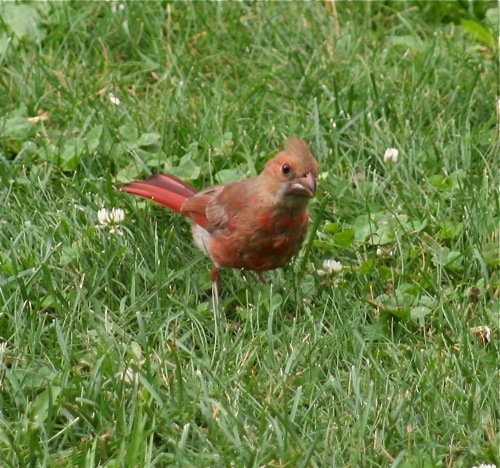 Here is a young cardinal. Even though the bill is slightly obscured, you can still see that it is dark and not bright orange, which is a sign that this bird was hatched this summer. There's an even better example of it here. 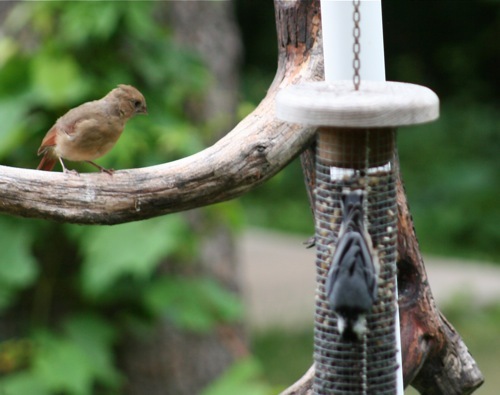 I love that above photo, see how that young bird is watching the nuthatch on the feeder, she's trying to work out in her head how she can access that food source, she's wondering how she can perch on that feeder. She was part of a family group of four. Above, she's on the ground with what I presume is her nest mate since they were feeding without squabbling. He's still in that awkward phase, growing in his red feathers, you can even see the hint of a beard. Kind of like those 13 year old boys you knew in school who could grow those peach fuzz mustaches when puberty hits.